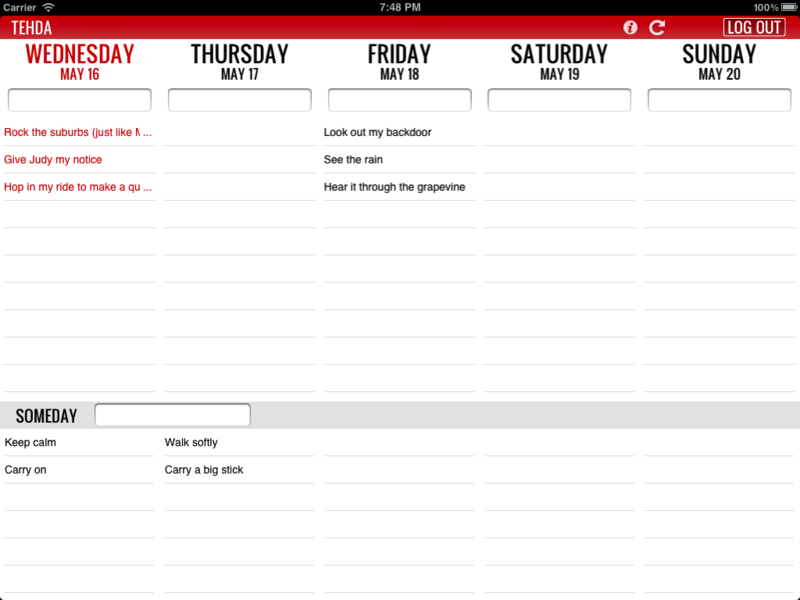 It’s the easiest way to track your todo list. Type your todo into the text box at the top. Tap and hold to drag an item from one day to the next, or drag to reorder your list. Swipe left and right to move through time naturally. 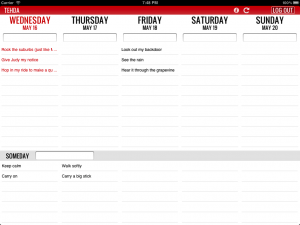 Organizing your life has never been simpler. Buy it from the App Store today. Help! I have a hard time knowing if my app on iOS has synced. It often looks like it hasn’t, but maybe it has at some point? And I just have to wait until it syncs again? My understanding is that I get only one sync per 24 hours. In any case, the app is not very compatible with the desktop version right now. Thank you for any enlightenment!